Home » Child Care » Year End Review: Who Did Your Au Pair Bring Home? Year End Review: Who Did Your Au Pair Bring Home? Another popular post from the year, Who Did Your Au Pair Bring Home? 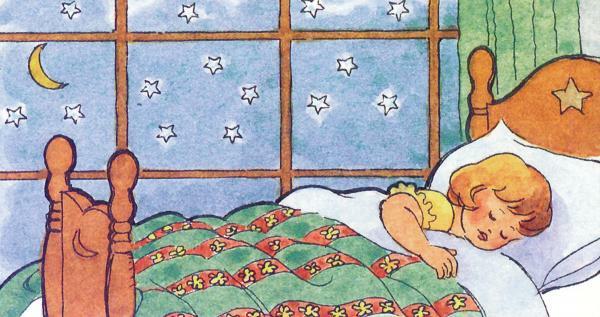 This is so pertinent because so many Au Pairs travel during the holiday season that they need to pay attention to who is sleeping in their beds with them. Does your Au Pair travel? Does your Au Pair stay in cheap hotels/motels or hostels? Most likely the answer to these questions are yes. Has your Au Pair heard of bed bugs? The most likely answer to this question is no and if they have heard of bed bugs it is because the commonly used phrased by parents worldwide when tucking their children into bed. This is no longer just a phrase. This past August our Au Pair had friends visit that frequented several hostels while traveling the United States East Coast. Not only did her friends stay at our home, but they left some uninvited guests – bed bugs. According to Orkin Pest Control, they have seen a 33% rise in bed bugs since 2011. As of 2012, New York (ranked 10th in the country) and Washington, DC (ranked 7th in the county), of course two of the places my Au Pair’s and their friends frequented. Every morning for about a week, our Au Pair would wake up with bug bites all over her legs, neck and back. We thought at first that they were mosquito bites and then perhaps spider bites finally my husband – who lived in New York – said that we might have bed bugs. Of course I was mortified and automatically started itching. I knew nothing about bed bugs, so immediately I did research, but my husband did. You can’t get rid of bed bugs with RAID and normal spray…it does nothing; over the years bed bugs have become more resistant to pesticides. First, we found a reputable bed bug exterminator and one that used canines to detect if we had these little mites. Low and behold, the dog detected our Au Pair’s bed housed two or three bed bugs. The inspector was surprised we caught them so early. Usually it takes a couple of months for a person to detect they have bed bugs, but lucky for us our Au Pair was highly allergic to them. If not, by three months we could have had more than 270 bed bugs. 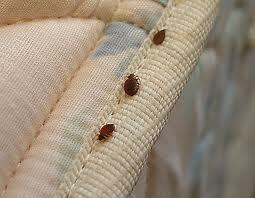 The female bed bug lays approximately 3 to 4 eggs a day. The exterminator said the majority of his clients that have bed bugs get them from their Au Pair’s. The Au Pairs are traveling to New York, Chicago, Washington, DC or other major cities and staying and in hostels and cheap hotels in order to save money. Unfortunately, bed bugs are prevalent in these accommodations. Getting rid of bed bugs is not cheap. It will range anywhere from $2,000 (Pesticides, special poisons now that DDT is banned in the USA) to $10,000 (heat treatment) to eliminate the bed bug problem and unfortunately, there is no guarantee the pesticides will kill them all. In addition, to ensure the bed bugs are gone, you will either need to throw your box spring, mattress, bedding and pillows away and replace them or encase them in $50-$80 covers, which can be purchased on Amazon.com, Target, Walmart, Bed Bath and Beyond. Furthermore, you will need to bag everything in the infected area; in our case it was our Au Pair’s room. This means all clothing, suitcases, books, etc. Then wash all clothing and then dry using high heat, and keep the books, any clothing that can shrink, etc. in a bag for at least 13 months (bed bugs can live up to 13 months without food). The solution to Au Pairs and bed bugs is not to eliminate travel, but to do the following things when traveling. At a hotel and or hostel, ask the desk clerk if there have been any bugs in the hotel, and in what rooms. Leave your luggage by the door until you inspect the room. The bugs typically live within 5 or 10 feet of people (emission of carbon dioxide), so look under the mattress, under the mattress pad, etc. for evidence. Use luggage racks to hold your luggage when packing or unpacking rather than setting your luggage on the bed or floor. 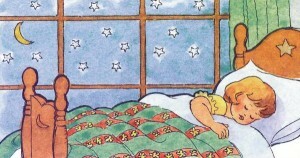 Check the mattress and headboard before sleeping. Pack a plastic garbage bag and place all your clothes in it before packing your luggage. Upon returning home, unpack directly into a washing machine and inspect your luggage carefully. As you can imagine, this unexpected expense was not welcome, but it was a great opportunity for us to implement house rules with regards to travel. This is not to scare Au Pairs or host families, but merely to keep you informed of this potential problem and cost associated with bed bug infestation. We now have a house rule specifically for traveling and what is required upon our Au Pair’s arrival home. I would encourage Au Pairs and host parents to consider having a similar house rule. Here is the language we use and please feel free to modify it to fit your family’s needs. “Traveling is great and a unique way to experience America and we highly encourage it. If you plan on traveling to NY or if you plan to stay in any hostels or low economy hotels or motels while living with us, upon your return from any trip, you must leave your suitcase and clothes in the garage until they are washed. The reason being is in the past, we’ve had Au Pairs come back from their travel weekend, etc. with bed bugs from their stay in NY (these places are notorious for bed bugs). 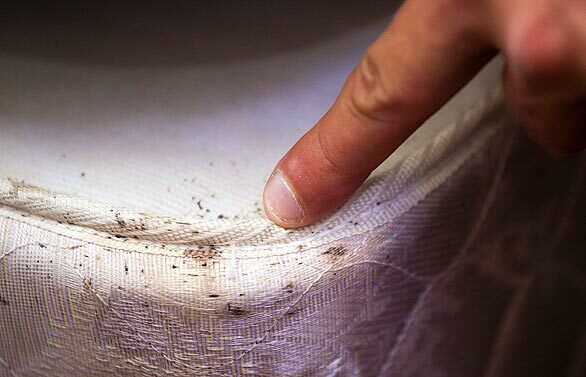 Bed bugs are extremely hard to get rid off and generally, it requires us to throw away mattresses, box springs, bedding, pillows, etc. and then replace them. In addition, to either fumigating with chemical – which is no guarantee that this will rid the bed bugs – or using heat treatment, all which can cost us at a minimum of $2,000 in your living quarters and the basement. If you are not concerned about bed bugs and the possibility of them infested your beds, perhaps you should watch the following video on bed bugs. Are you itching all over yet? I am.